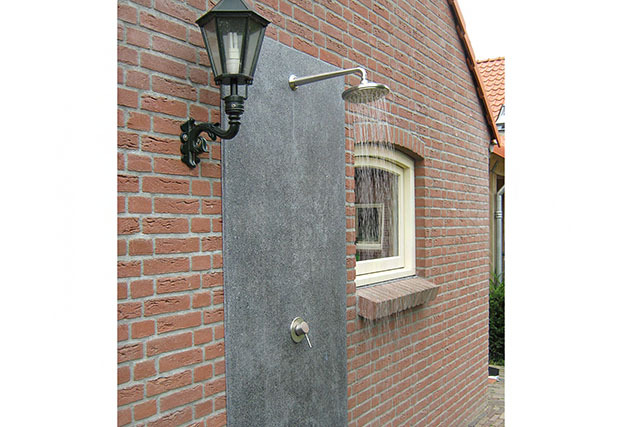 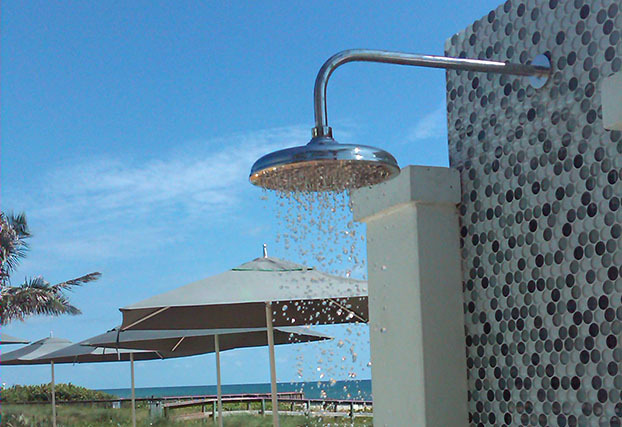 Outdoor Shower Company is the only company in the U.S that manufactures and distributes outdoor stainless steel showers. 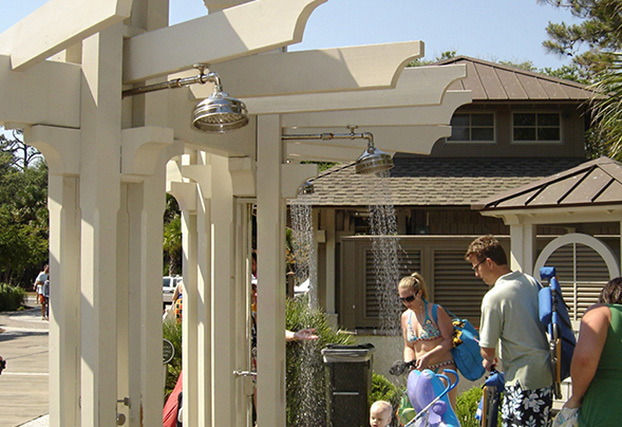 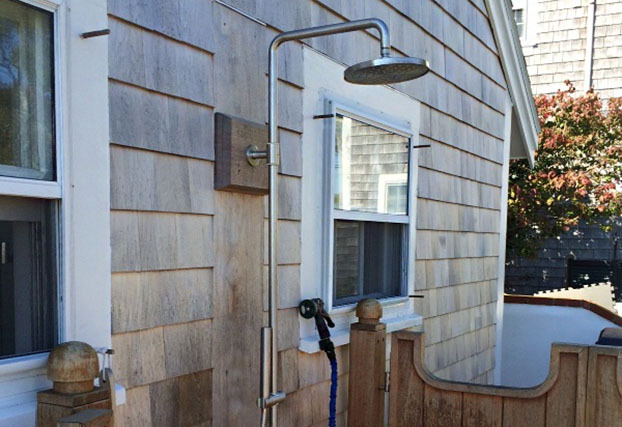 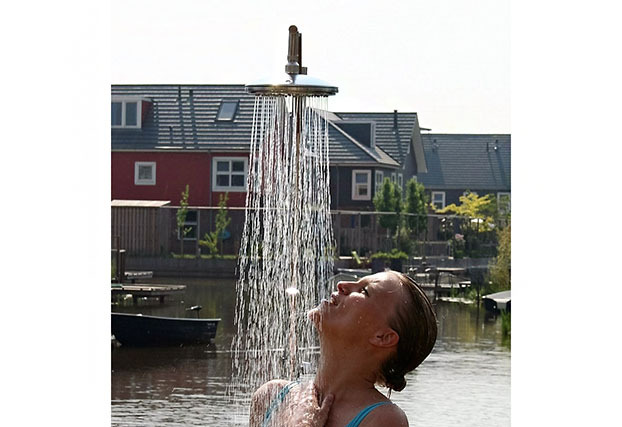 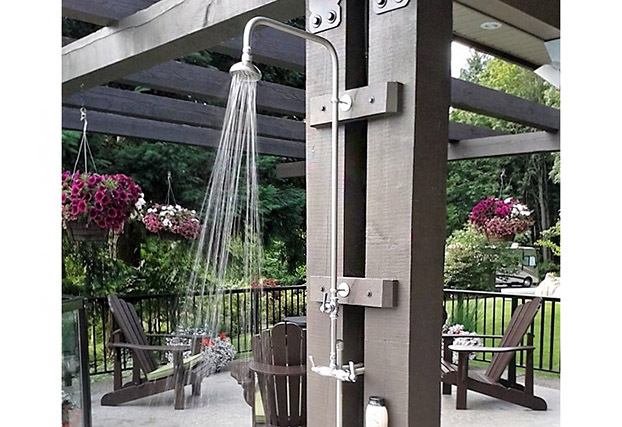 Outdoor Shower Company promises to provide our customers with the highest level of quality, low maintenance outdoor showers and accessories that meet the needs of residential and commercial customers throughout the United States and overseas. 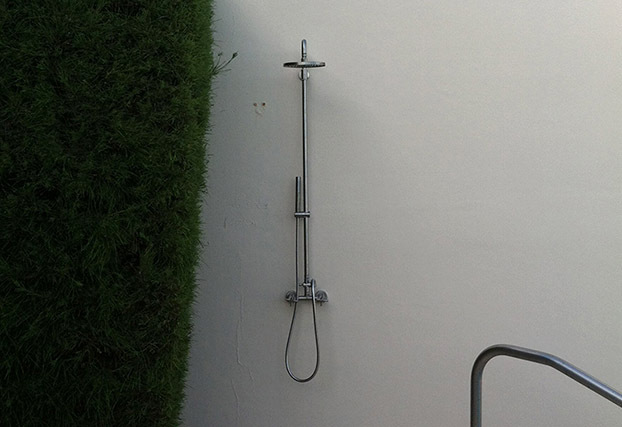 We promise to provide excellent service to vendors, distributors, and customers in an honest and ethical manner with our purpose being to guarantee the satisfaction of every customer. 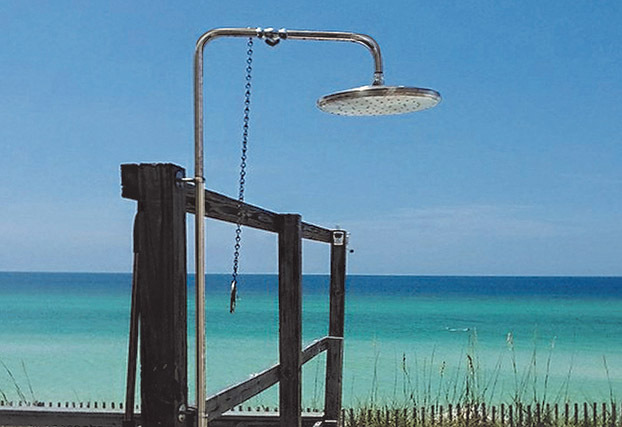 Our commercial and residential products are the perfect choice for coastal areas, lakes, swimming pools, playgrounds, campgrounds, water parks, marinas, boat docks, cruise ships, yachts, hotels, playgrounds, vacation homes, condominiums, apartment complexes, resorts and especially outdoor bathing in your own backyard. 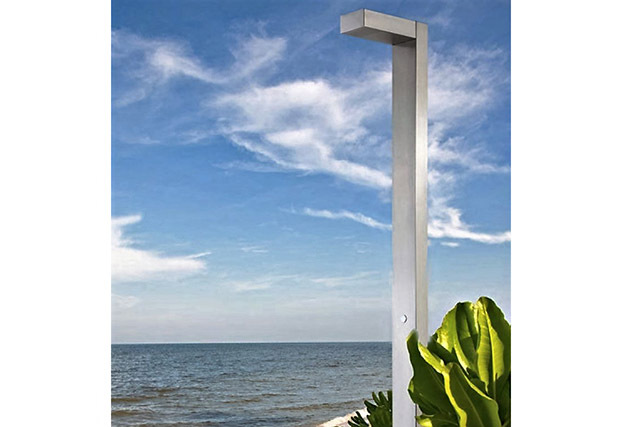 316 Stainless Steel Products - Free Standing Showers Units, Wall Mount Showers, Wall Mount Showers. 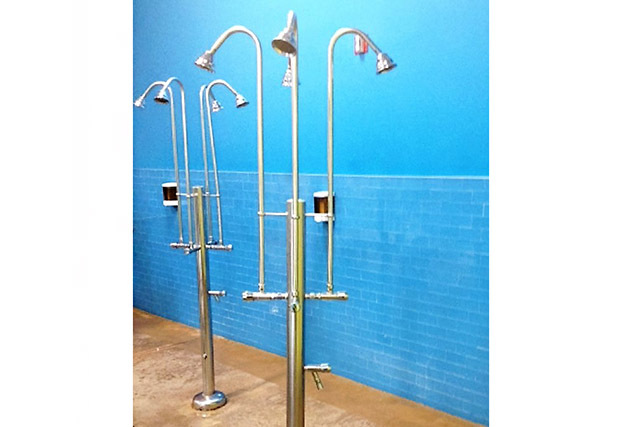 Stainless Steel / Chrome Plated Brass - Wall Mount and Free Standing Single Supply Showers, Wall Mount and Free Standing Single Supply – Foot Showers and Hose Bibbs, Free Standing Drinking Fountains, Free Standing Hot and Cold Showers, Free Standing and Wall Mount Pet Showers, Design-A-Shower, Shower Heads.